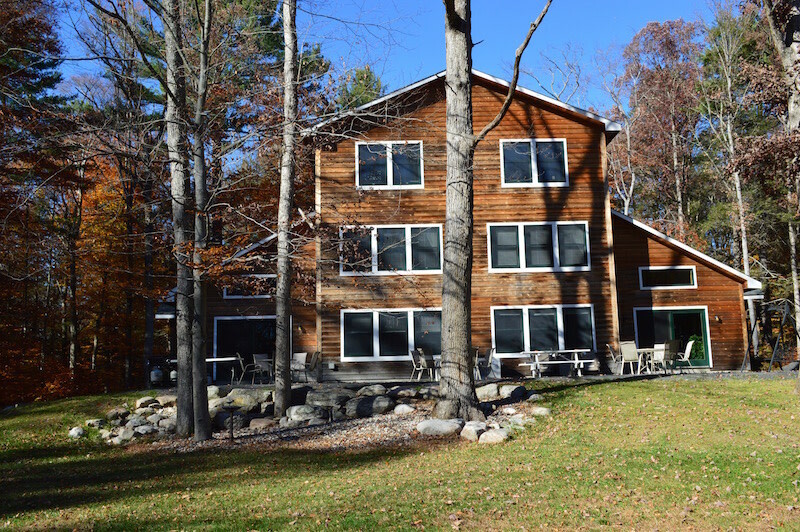 Hidden Cedar Inn accommodates 18+ guests comfortably whether sleeping, dining, or partying. Six bedroom suites each with private full bathrooms, no sharing, two additional half bathrooms in common areas. Each bedroom suite has a state-of-the-art dedicated heating and air conditioning system. Fully stocked gourmet kitchen, Outdoor patio with six foot barbecue grill. Beautiful private old growth forest setting. Bed linens & towels provided. Amenities galore. On Shawangunk Wine Trail!! Each of the 6 large and luxurious bedrooms has its own seating area and private full bathroom. These bedroom suites help you to relax privately. Smart TVs with premium channels, WIFI, DVD blue ray, and Stereos. Child, pet and group friendly.